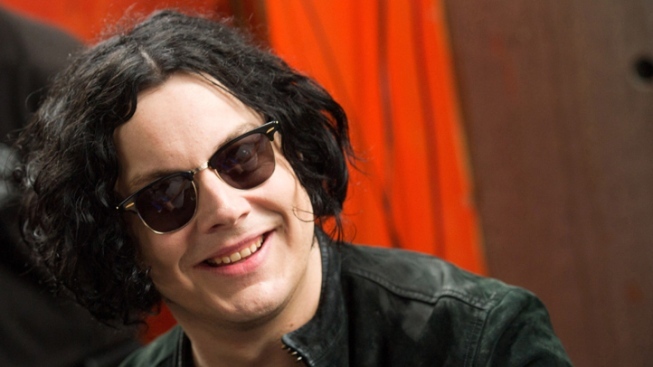 Jack White Beats Out Adele for No.1 Album with "Blunderbuss"
Jack White scores first No. 1 album ever with "Blunderbuss." After years of success with three different bands—The White Strips, The Raconteaurs and The Dead Weather—Jack White has finally scored the No. 1 Billboard spot as a solo artist, MSNBC.com reported. “Blunderbuss,” White's first solo No. 1 album ever sold 138,000 copies since it was released on April 24, according to Neilsen SoundScan. It reigned supreme in its first week of sales, topping the charts in the U.K., Canada and Switzerland, knocking Adele’s Grammy Award winning “21” out of the top slot. Rolling Stone Magazine, which has ranked the 36-year-old 17th out of the top 100 guitarists of all time, gave White's solo album 4.5 out of 5 stars. "It's his most expansive and masterful record since the White Stripes' 2003 classic, "Elephant," full of brilliant songs about how love tears your body and soul to shreds, slams your fingers in the door, grinds your face in the dirt," Rolliing Stone's review said. Billboard wrote that "Blunderbuss" has "elements of every project White has ever worked on...but also shows sides that the self-imposed, regimented simplicity of the White Stripes didn't allow." White told Interview magazine that he didn't want to go solo until the White Stripes was dissovled—a move he prompted, breaking up the band after a 14-year run. "Sometimes things last for a finite period and I just didn't feel like it was the right thing to keep playing anymore, so we had to put a stop to it. But also, I didn't want to go out and make solo records if The White Stripes still existed," he said. "I thought that people would be too confused by the two ideas and a lot of people wouldn't be able to get their hear around it." White is currently on tour promoting “Blunderbuss”. For tour dates go to JackWhiteiii.com.